I’m a big fan of traditions. Family traditions are crucial for family bonding and unity, and give children a sense of belonging. Similarly, it is important that we have traditions just for our marriages too. Having traditions that you share only with your spouse can strengthen your relationship as well as pull you through rough times, for isn’t it the positive memories that we cling onto when we come upon bumps in the road? 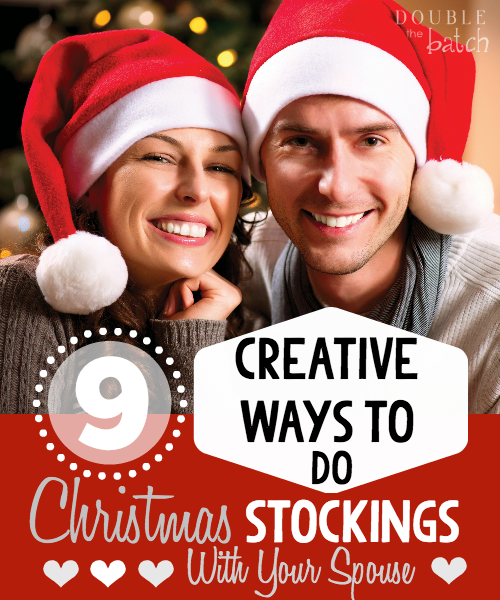 Here are some fun tradition ideas specifically for exchanging Christmas Stockings every year. Although Christmas can easily become just about the kids, don’t forget to create meaningful memories just with each other! 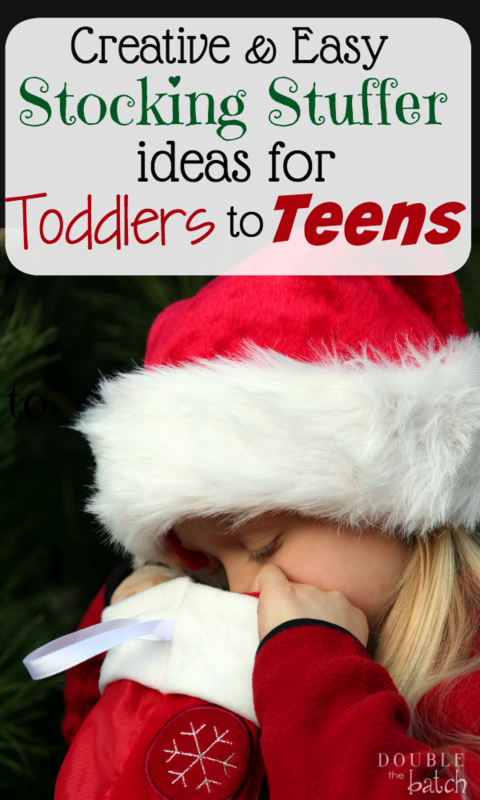 And if you are looking for fun Christmas Traditions in general, check out Fun Christmas Traditions to Start with Your Spouse or Fun & Meaningful Christmas Traditions for Families. The Memory Stocking. For your spouse’s stocking stuffers, find funny and memorable items that represent memories you have shared throughout the year. Enjoy your stockings on Christmas Eve after the kids have gone to bed and reminisce the year prior with your spouse. This can end up being really meaningful, or super funny…or a mixture of both! The Sweet Tooth Stocking. 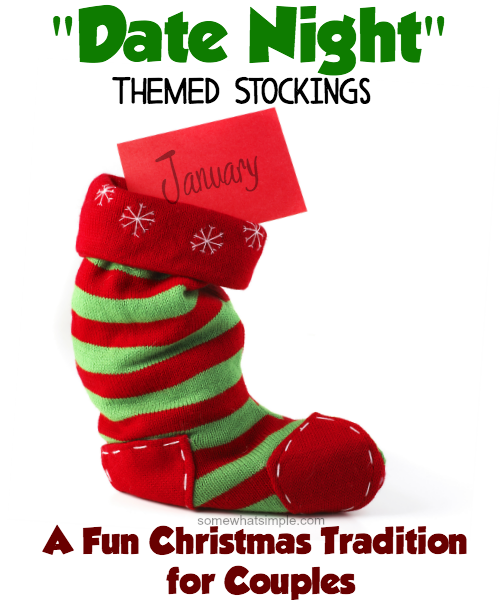 Fill each other’s stockings with favorite snacks and treats and each night afterward, enjoy a treat and talk about each other’s day after the kid’s have gone to bed. The Service Stocking. Get creative with this one and fill your spouse’s stocking with items of service to one another. This could be coupons for kind acts, homemade gifts, a written song or poem, or notes of affection. The Gag Gift Stocking. See who can come up with the most comical stocking stuffers. Try to keep a straight face while opening your stocking. First one to laugh loses. For some fun ideas of what gag gifts you can do, check out Gag Gifts For Your Husbands Stocking. The Christ-themed stocking. Have what you put in your stocking represent something you did or became that year. Maybe its an item that represents a trial you went through that really caused you to ask for Christ’s enabling power, or maybe it was an attribute that you developed. The entire stocking doesn’t have to take on this theme, but making a point to include at least one item could make for a meaningful Christmas. You could even mix the idea up a bit and include something Christ-like that you observed in your spouse that year. Another direction you could take this, is to include something that represents a gift you are going to give to Christ in the upcoming year…maybe you want to be a better wife or mom, or you want to work on being more patient, or you want to volunteer in a soup kitchen. Whatever it is, share it with your spouse and love and support each other as you accomplish your goals. The Cheapster Stocking. Set a budget and fill each other’s stocking based on that budget. See you can come up with the coolest stocking. The Creative Stocking. You can take this theme a variety of ways. One idea might be to say that everything in the stocking must be homemade, or another idea might be to theme your stocking around your spouse’s interests. Try to include something that represents your spouse in every way possible and see who comes the closest. This could include something that represents your spouse’s favorite color, favorite sports team, favorite animal, favorite music, favorite memory, favorite car, favorite stores, etc. Have lots of fun and become “Detectives” trying to learn new things about each other throughout the year so that you can create the most creative stocking. Do you have any fun Christmas Stocking Traditions?